We’ve been talking about a book club since we opened three years ago…and it’s going to happen this summer! Liz Miller will be leading two Wednesday night book clubs for adults this summer on July 18th and August 15th from 7:30-8:30. 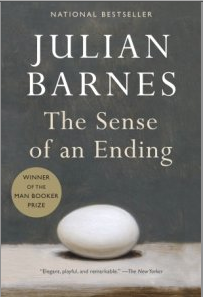 Our July ACL Book Club Selection is: The Sense of an Ending by Julian Barnes. The ACL has several copies. Thanks to folks for keeping them circulating briskly–we’ve had a good rhythm of availability for everyone who wants to read it. Didn’t read it and you feel you can’t pull it off in time? How about you get ahead of the curve and start our August selection: The Art of Fielding by Chad Harbach.